Silicone wristbands have many popular uses. As Remembrance bracelets, they can help people remember important events, programs, events, causes and people. Below are some ways you can use your silicone bracelets. Build your Custom remembrance wristbands today! Any group can use custom bands to raise money for their school, club, cause, or team. 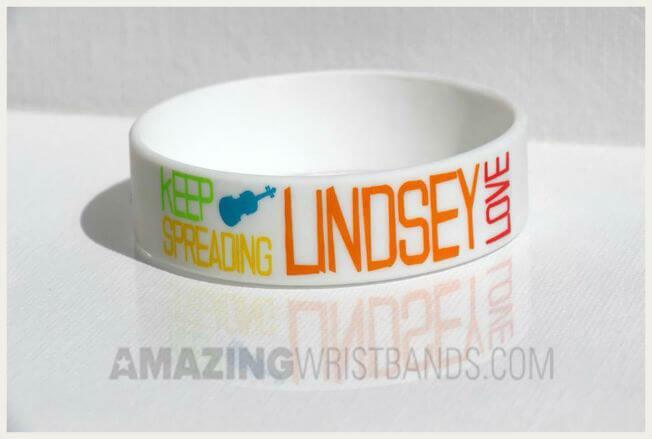 Fundraising bands can be created online, customized, bought in bulk, and sold for a profit. Be sure to use unique colors, artwork, and messages to make the most money for your cause. Charity event planners use personalized bracelets to promote events. These can be used to promote the event or as a type of ticket to get into an event. Organizers might also use different colored bands to differentiate groups of people within the event. Wristbands are perhaps best known for their relationship to important causes, such as the original cancer awareness Livestrong yellow bands. Causes often have a specific color associated with them, such as red for AIDS, pink for breast cancer, and camouflage to support our troops. Personalize remembrance bracelets are very meaningful to grieving family and friends. When someone passes away, these bands provide comfort, especially when created with the person's name or a phrase that is associated with the person's life. Remembrance bands honor lost loved ones for years. Many people use Remembrance bracelets as a way to keep their faith front and center. Church groups, youth groups, and bible study groups create custom bands with special phrases or bible verses to remind people of their missions of faith. The best way to create a wristband exactly the way you want it is to build it yourself. At AmazingWristbands.com, our online builder is a user-friendly way to quickly create your Remembrance Wristbands. It's simple! First, choose your product type. Then, select message style, fonts, personal content, color, and artwork. We have a large selection of clipart, or you can upload your own logo or emblem. Choose special effects such as glitter or glow, and create unique color combinations to make your Remembrance message really stand out. In addition to standard bands, we also offer super popular slap bands that "snap" to a person's wrist, as well as thin half-inch bands, thicker one-inch bands, adjustable bands, USB bands, silicone rings and silicone key chains. We sell only 100% latex free silicone products that are safe and non-allergenic. Many of our products have no minimums and can be delivered quickly. We offer free shipping, free artwork, free design, and free color matching.